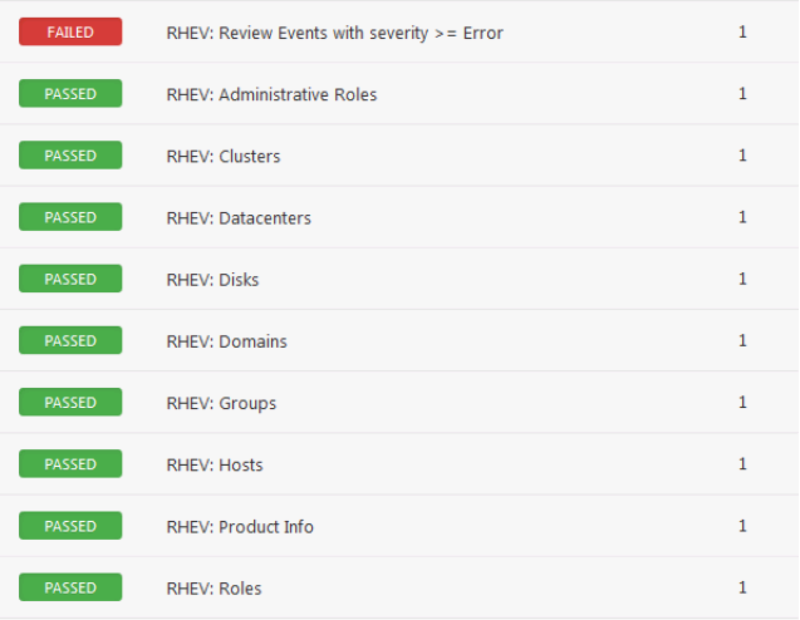 The Red Hat Enterprise Virtualization (RHEV) audit includes checks for the currently running or stopped VMs, product version, users, roles and group configuration, as well as data center and cluster information. 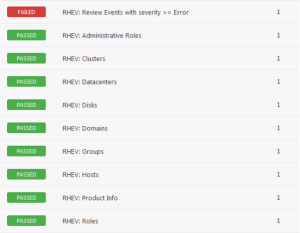 To audit a device, admin SSH credentials for the Red Hat Enterprise Manager Admin portal are required. The plugin supports evaluation of output by regex, expect, not_expect, and known_good keywords.